The Designer Series bottom-mount refrigerator/freezer features a drawer-style freezer compartment to store frozen foods neatly and offer easier access to bulky items. With the freezer located below, the large-capacity refrigerator compartment stores fresh foods at an easy-to-reach level. Total 20.3 cu. ft. / 0.57 cu. m.
Refrigerator 15.2 cu. ft. / 0.43 cu. m.
Warranty 2 Years. 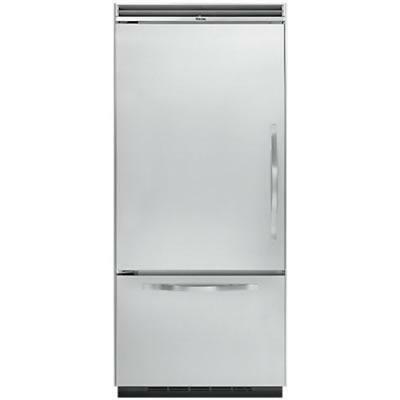 Six-year full warranty?sealed refrigeration system and automatic ice maker; Twelve-year limited warranty?sealed refrigeration system (includes compressor, condenser, dryer/strainer, evaporator, and connecting tubing); Ninety-day limited warranty?cosmetic parts such as glass, painted, and decorative items.